Inspired by the silt clay banks of Norway’s Tronesbekken stream, Lauritz Smith Pedersen was granted permission to establish a “Brickworks and Roof-tile Factory in Sandnes” in 1782. Using the clay materials, Sandnes Teglverk (Brickworks), or GamlaVærket (the Old Factory) became a prominent tile production factory. 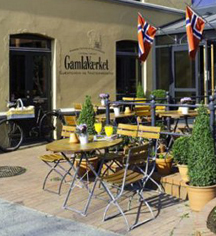 For the next 175 years, GamlaVærket continued to expand its production to over seven new branches. All together, these factories successfully produced and sold fired clay products including, but not limited to, bricks, pots, drainage pipes, ceramic weights for fishing nets. Today, the carefully preserved walls Lauritz Smith Pedersen built for his factory over 200 years ago transport guests of the GamlaVærket Hotel to an authentic tour of Norway’s industrial history. With 28 romantic guestrooms, individually furnished and styled, the hotel offers each guest a personalized experience with charming service and amenities reflecting the history of Norway. Gamla Værket, a charter member of Historic Hotels Worldwide since 2011, dates back to 1793. Today, the hotel's old factory’s history is literally embedded in the walls of the Gamla Værket Hotel transporting guests back to the very days that established the hotel. Parking: On-site parking: Not Available. Off-site parking Available; surcharge. Inspired by the silt clay banks of Norway’s Tronesbekken stream, Lauritz Smith Pedersen was granted permission to establish a “Brickworks and Roof-tile Factory in Sandnes” in 1782. Using the clay materials, Sandnes Teglverk (Brickworks), or GamlaVærket (the Old Factory) became a prominent tile production factory. 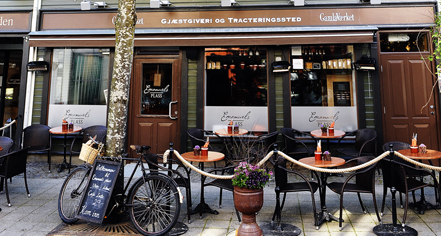 Learn more about the History of Gamla Værket .